It’s a debate that’s raged for decades among marijuana smokers: Is it best to use bongs or glass pipes when smoking? Some might try to tell you they have the answer. But in truth, the honest answer is: It depends on what you want. Each provides advantages in different areas. Glass pipes are typically seen as more high-end, sometimes even luxury items. Bongs can also be high-end, although many are more practical. But you really can’t go wrong, either way. Here’s a close look at the advantages of both. Perhaps the strongest argument for glass pipes involves flavor. Glass does not add any flavors that compete with the taste of the marijuana strain itself. This is not what you’ll experience with wood or clay pipes. Glass pipes also are beautiful. While form follows function to a certain extent, water pipes come in many assorted sizes and shapes. This rich variety of styles and colors give glass pipes an additional advantage over most bongs. 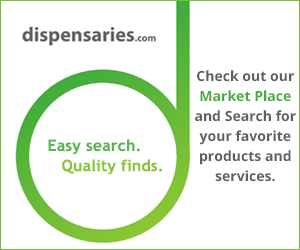 Pipes offer perhaps the easiest experience in smoking marijuana. Flowers are put into a bowl. Then, you ignite it. The glass tube fills with smoke and you inhale. It’s not going to get any simpler than that. It’s elegant, straightforward and efficient. It’s also portable, which is another huge advantage. Discretion is the rule with smaller glass pipes, another advantage for those who are on the go. Just the word “bong” seems to match with marijuana. After all, the Cypress Hill song is “Hits From the Bong,” not the glass pipe. The biggest argument in favor of bongs is the fact that they use water filtration (or ice) to chill the smoke before you inhale. That makes for a smoother experience when inhaling for most people, perhaps the smoothest this side of vaping. Proponents also argue that the water filters out a lot of the things in the flower that you don’t necessarily want to inhale, leaving you with a purer smoke. For example, you’re not going to inhale ash that collects in the bowl. Because bongs are usually easier on the lungs, they often are the best way for a first-time smoker to use marijuana. And while it’s less mobile than a pipe, it’s also typically easier to clean (this can depend on the type, though). The truth is, there’s no one clear answer to the bongs vs. glass pipes debate. It all depends on your personal tastes and needs. But the above at least gives you a starting point for determining which is best for you.